There is no way to escape the ever-rising rate of violence in our society. In 2014, there were at least 21 terrorist attacks around the world with at least 50 people being killed. Today, the names of cities such as Dallas, New Orleans, Ferguson, San Diego, Paris and Munich have more meaning than their geographical location. These names can denote fear, horror and, certainly, anxiety. In the time of globalism, news is reported immediately and extensively. We seem to go from one 24 hour coverage of a disaster to another. Media access brings worldwide events very close to children in the form of television, the Internet and social media. We as adults find the daily news often overwhelming. However, have we considered the effects on our children of intrusive and unedited images which portray extreme acts of violence? Adults are better equipped to deal with the physical and emotional effects of these images. Children are more vulnerable. Given the intensity and frequency of these violent acts, how threatened are our children in terms of their sense of safety and security? We do know that children do not have the resources to manage the stress response that they may experience when being exposed to excessive and intense amounts of violence. Ten years ago, educators and therapists were concerned about how violent video games were affecting our children. Today the events that they are exposed to are real. Studies have shown that long-lasting effects may result in cognitive issues, such as learning and attention problems, along with emotional symptomology – especially elevated levels of anxiety. Research shows considerably increased rates of anxiety and depression in the last thirty years. The proportion of teens reporting that they frequently feel anxious or depressed has doubled in the last thirty years from 1 in 30 to 2 in 30 for boys and 1 in 10 to 2 in 10 for girls. Among older students it was reported that 57% of female university students expressed feelings of overwhelming anxiety. Studies show that up to one in four children develop anxiety to the point that it is distressing and disrupting for them. Their feelings become overly intense and uncontrollable. Beyond the world events, there are other possible causes for this rise in anxiety. Some would say that our young people have too many options and choices. It has been found that people with fewer choices are significantly more resilient. They have more parameters. They have more boundaries. Children are told that they can become anything they want in today’s world. Yet we see more and more older teens struggling with making basic life and career choices. There may be too many choices. Stress levels can also be triggered by the growth and intrusion of technology. A 2014 study by Baylor University in Waco, Texas, found that female students in America spend an average of ten hours on their phone a day. For male students it was eight. Young people today have to “brand” themselves as opposed to “being” themselves. This factitious life results in emotional isolation which is one of the major causes for anxiety and depression. Technology can teach children that contact with others is accomplished superficially, with a lack of depth, and little longevity. The work of therapists in the future will be teaching today’s children how to emotionally connect with others. The lack of connection lays the groundwork for anxiety. The seeds for worrying often lie with parental behaviors that help create or exacerbate the child’s feelings. Over-involvement is one way that a parent can convey his or her anxiety to the child. For example, over-anxious parents will tend to be much more intrusive than a parent who is not overly anxious. The parent’s anxiety is telling the child that there is something to be worried about. It also tells the child that she may not be capable of completing the work or task acceptably. Eventually, it has the effect of diminishing a child’s confidence. The message is: “I must not be capable enough to do this on my own. With good intentions, parents want to anticipate a child’s fears by trying to protect him or her. In reality, they are exacerbating the problem. Even on a social basis, it has been found that parental social anxiety should be considered a risk factor for childhood anxiety. Children can take on the stress of the parent. While there may be a genetic component to childhood anxiety, we know that there certainly are environmental factors. The good news is that the environmental factors can be addressed. Be cautious in helping children avoid the things of which they are afraid, especially when they are capable of facing these issues. If they avoid facing problems because of anxiety, this will alleviate the issue in the short run, but it reinforces the anxiety over the long run. We can help our children get through these difficult times by providing them with reassurance and extra emotional support by letting them discuss their fears. However, we do them no favors by doing the task for them or protecting them from the experience. We need to be aware that our children can take on our anxiety. Parents must find the balance between being able to share their concerns and feelings and not placing their anxiety on their children. Parents must address their own feelings before they can help children understand and label their feelings. Therefore, when parents know that they are experiencing their own fears, they need to obtain help in relieving and dealing with their emotional reactions. Most importantly, this will have the secondary effect of protecting one’s children. We need to help our children understand that they are ultimately responsible for the course of their lives. The workings of the outside world certainly can have their effects on every one of us. However, we each have the ability to maintain our own sense of control and sense of self-governance. Our parental work is to help our children believe that they have the power to make choices and control the outcomes of their life. This means either their success or their failure. They need to understand that they can influence the events of their lives through their decisions and efforts. This will give them a healthy and strong sense of self. When we allow them to make age-appropriate decisions and then truly experience the consequences of those decisions, without our rescuing them, they learn that their decisions largely control the outcomes in their lives. Lastly, if we or our children continue to feel overwhelmed by anxiety, then therapy is a very appropriate option in resolving it. We need to remember that, left unchecked, the problem generally becomes exacerbated. Anxiety is the most common psychological problem. However, it does need to be addressed. In this “Age of Anxiety,” we may not have control over outside forces impacting our world. But what we can do for ourselves and our children is develop within us a sense of empowerment. This is accomplished by being conscious of the decisions that we make and not avoiding those issues that we find anxiety-provoking. Our goal is to help our children live healthy and full lives, even though the world around them is not always safe. 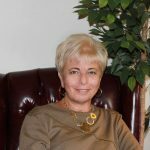 Mary Fitzgibbons is a licensed psychologist and has been the Director of West County Psychological Associates since 1986. Dr. Fitzgibbons created Comprehensive School Services, which provides consulting services and counseling to administrators, staff, students and parents. She has worked extensively with many public and private school systems in regard to dysfunctional families and at-risk children. Before beginning her career as a psychologist, Dr. Fitzgibbons was in education for 20 years, in both elementary and secondary levels. She was formerly a counselor and guidance director at Lafayette High School and an adjunct professor at Webster University, St. Louis University , Fontbonne University, University of Colorado and the University of San Francisco. She lectures frequently to schools and organizations, in addition to providing numerous presentations to local, state and national professional groups on issues of children and families.